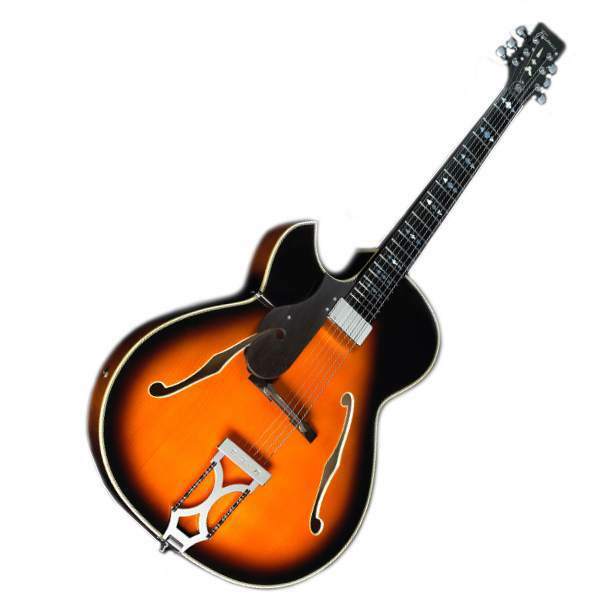 Framus full resonance archtop jazzguitar AZ 10 1 Pickup Vintage Sunburst Transparent High Polish lefthand. 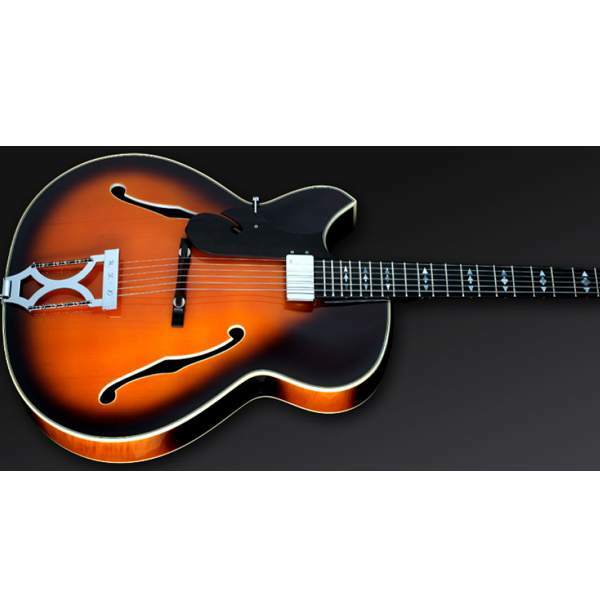 With the AZ-10, Framus remembers ancient goodnesses and represents a classic of the former company history in a modernized form. 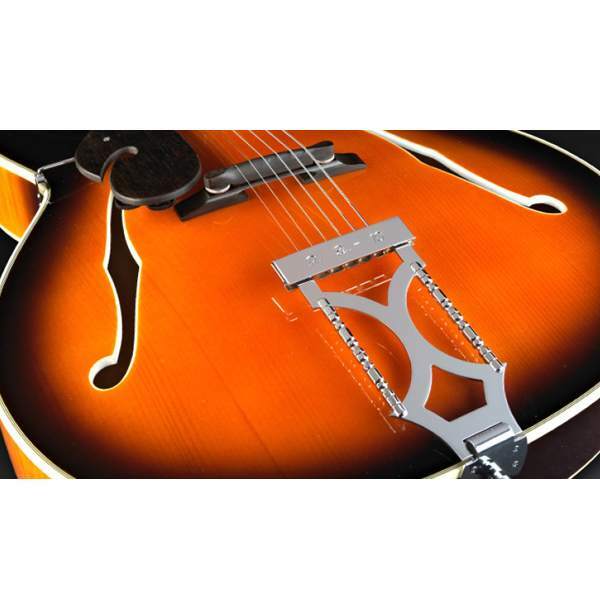 This exquisitely processed full resonance archtop jazzguitar orientates itself to the homonymous instrument series which was built in the 60s for jazz-legend Attila Zoller, and played by him for a long time. The available single pickup version follows thereby the AZ-10 model of 1970. 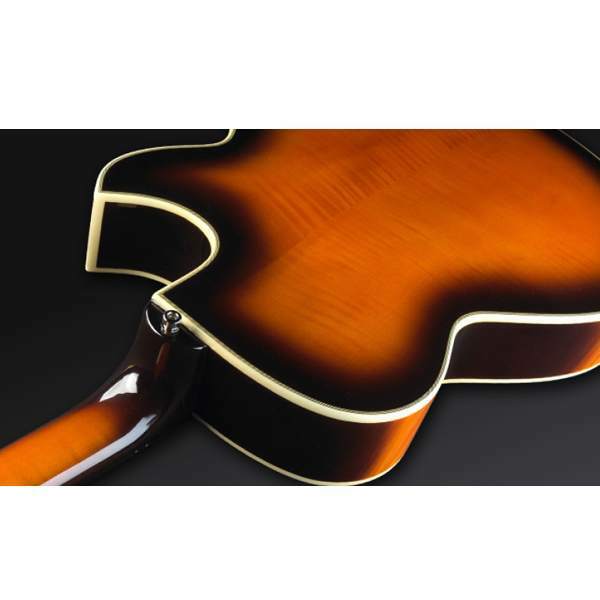 The instrument has a massive, arched Spruce top; architraves, ground and glued-in neck are of massive Flamed Maple, and a Tigerstripe Ebony fingerboard with custom inlays. All woods are selected carefully and guarantee excellent vibration characteristics. For an adequate sound, there is a specially balanced MEC humbucker in the neck position, which is mounted floating together with the carved Ebony pickguard. Tonal, the single pickup AZ-10 evidently speaks fluently jazz, but offers a lot more than only the classic glove-tone in highest perfection, and so it's the ideal partner for all varieties of this genre. The familiar super-playability invites to endless excursions across the perfect fingerboard and makes it difficult to put the AZ-10 aside. 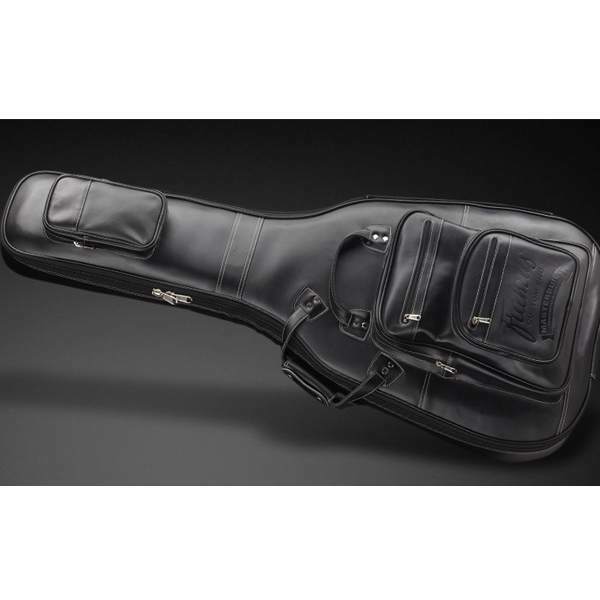 For open-minded jazz guitarists this is an absolute oneiric instrument, if not even the guitar for life.